Suppose I sell wine (or any alcohol) by the bottle and by the glass. With a bundle variant, I can make sure the inventory always comes out of the same place. Create an Item. — Suppose this is a "2013 Premium Cabernet" and the bottle is 750 ml. I'll use those as my Item and variant names, respectively. Click "Add Single Variant" to enter the Variant Name. Add cost, quantity on hand, and list price. — Remember, cost is what I paid for the bottle, quantity how many bottles I have in stock, and price is what a customer will pay for a bottle. Save the Item. Now add a bundle variant. 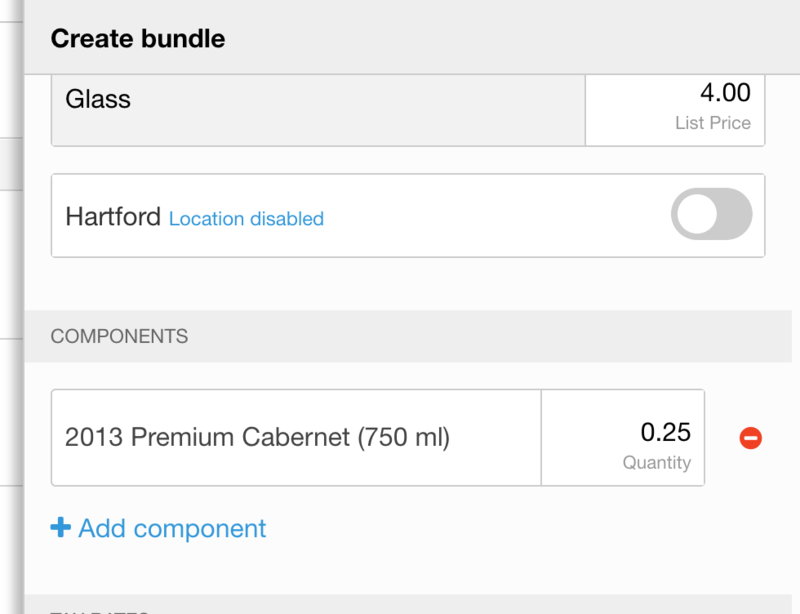 — We'll specify that this is a "Glass" in the bundle variant name. 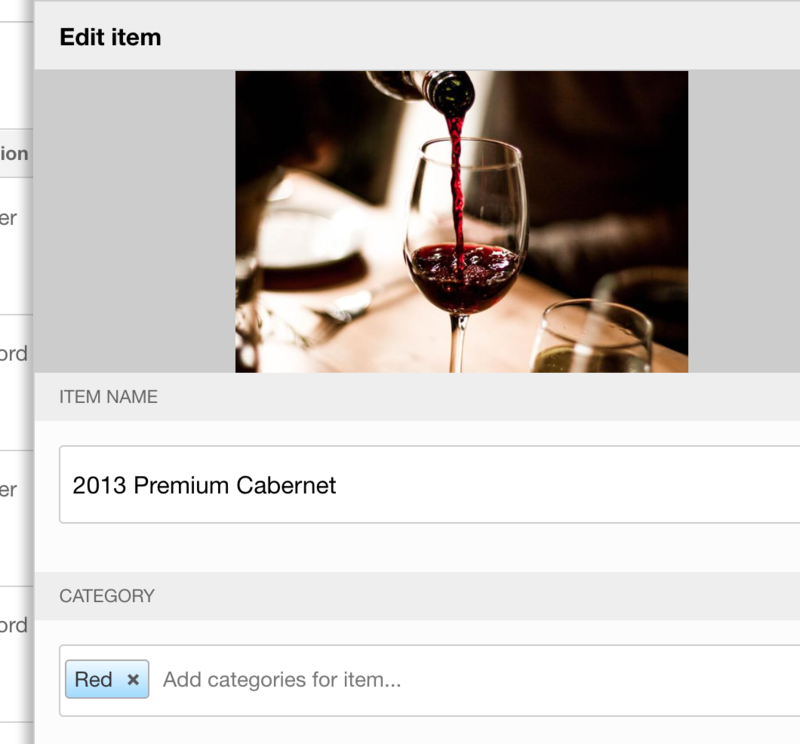 Select "2013 Premium Cabernet (750-ml Bottle)" as the component Item. Supposing you get about 4 glasses per bottle, your Qty will be 1/4, or 0.25. The same principles apply to liquor and anything else you sell a portion of. 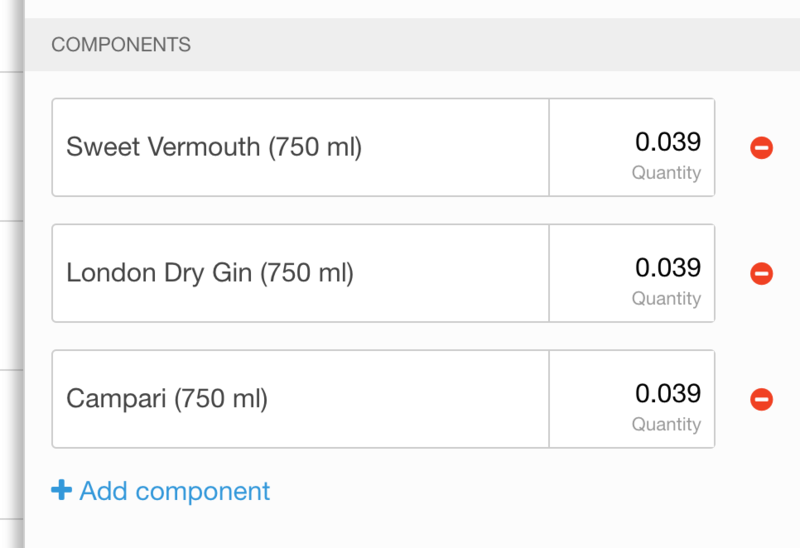 For instance, if you create a bundle to represent a single shot, and you expect to pour about 17 shots per bottle, your component Qty will be 1/17 = 0.059. To create a bundle composed of multiple Items, simply add the Components one by one. Remember, however, that if you choose to make this a bundle variant of the primary ingredient, that's where it will be organized in your register. You may prefer to make mixed drinks/recipes their own Items. 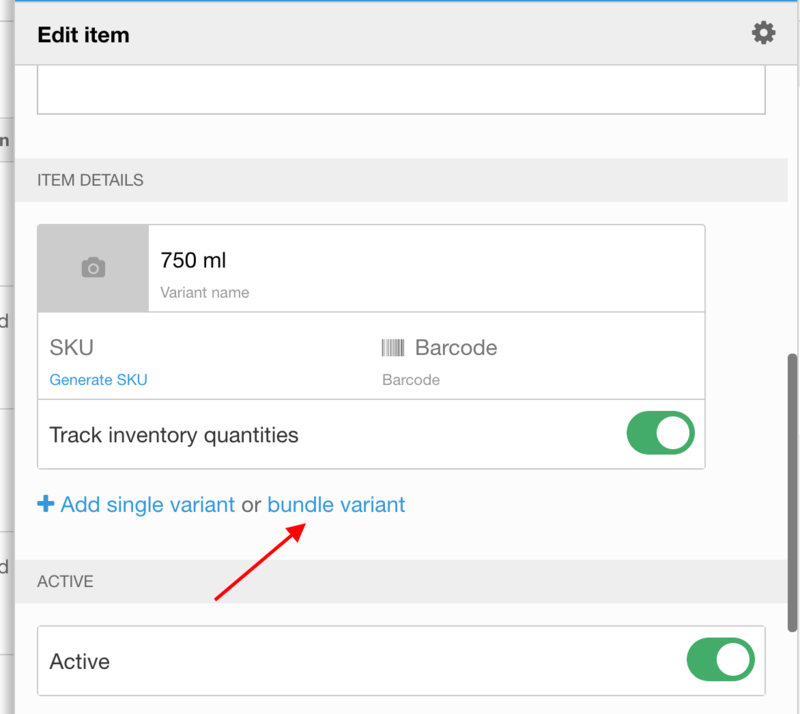 To do that, start with the "Create Bundle" button rather than making it a variant of an existing item.